Several verbal statements agree in establishing the following fact. 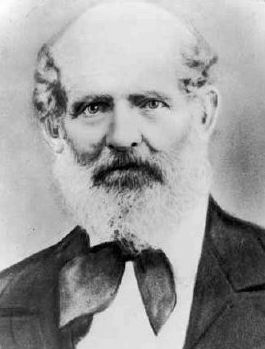 That on Saturday night March 24th a number of persons, some say 25 or 30, disguised with colored faces, entered the rooms in Hiram, where the two Mormonite leaders Smith and Rigdon, were sleeping, and took them, together with the pillows on which they slept, carried them a short distance, and after besmearing their bodies with tar, applied the contents of the pillows to the same. There will be more about this in an upcoming article, ‘His Heart Failed Him’ , which will deal with the reasons behind the 1832 assault on Joseph Smith and Sidney Rigdon. The picture above is my remake of the one found in the 1834 publication, Mormonism Unvailed by Eber. D. Howe. Where there men living on the moon? Was it inhabited? This is a fascinating topic that goes even farther back than the times of Joseph Smith. The 19th Century was filled with such speculation, firing the imaginations of men, and culminating with books like Jules Vernes’ ‘The First Men In The Moon’ published in 1901. Human speculation is one thing, but when those that call themselves ‘prophets’ jump into the fray, their statements are usually taken with a little more gravity, especially when some of them preach such things over the pulpit. 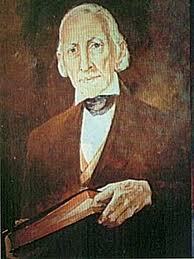 Such was the case, when some influential Mormon leaders, including Joseph Smith, made some statements regarding this topic. Where did they come from? In 1835 the New York Sun published a series of articles claiming that the astronomer John Herschel had found inhabitants on the moon. It was satire but many people thought it was real at first. Could Smith have been influenced by that article? Even if he and others were, why were some of them preaching this over the pulpit? 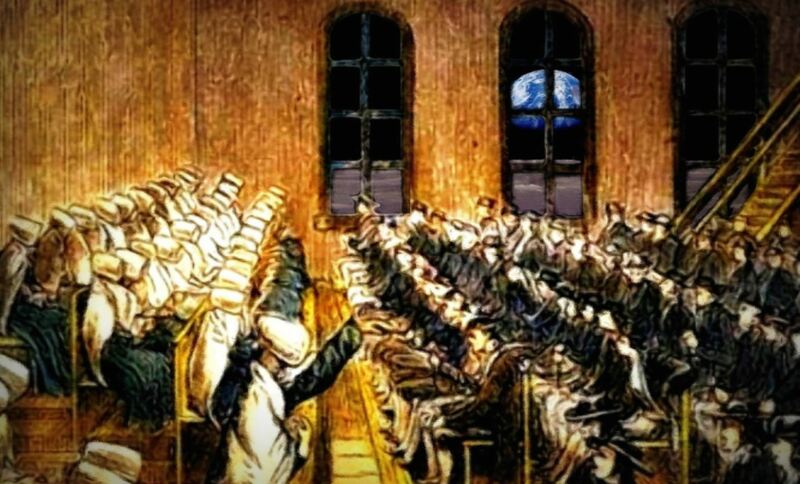 Why were there patriarchal blessings given that told of men preaching the gospel on the moon? Many have quoted the above, and wonder how Joseph Smith could have taught such a thing. Here, Huntington gives this not as Smith’s opinion (his comment that ‘nearly all the great discoveries’ shows that) but as a verification for Smith as a prophet. He then quotes his own patriarchal blessing, which he says was given by the father of Joseph Smith as further proof. “Now I say unto you that there are lords many and gods many but to us there is but one God; the Father and Jesus Christ the First Begotten who is made equal with God so that He Himself is a God and now the work that the Father done did he do also and so there is a whole train or lineage of Gods and this world was created by faith and works the same as if a man would build an house. He knew where the materials were and he believed he could build or do the work of that building for he understood the science of building, and by faith He joined the work with His own hands and completed that building; the same way was this world by faith and works and by understanding the principle and it was made by the hands of God or gods. It was made of element, or in other words of chaos, it was in chaotic form from all eternity and will be to all eternity and again they held council together that they might roll this world into form as all other worlds are made showing you by the building of a house as a sample or a figure. And in my Fathers house are many mansions or in my Fathers world are many worlds; I will go and prepare a place for you. And then if there are many worlds then there must be many gods, for every star that we see is a world and is inhabited the same as this world is peopled. The sun and the moon is inhabited and the stars (Jesus Christ is the light of the sun), the same as this earth but anyone of them are larger than this earth. And many that we cannot see without a telescope which are larger then this earth and they are under the same order as this earth is undergoing and undergone the same change. There was and is a first man Adam, and a Saviour in the meridian of time, the same computing time and all in all and all things in order. And many things are to be considered that will bring knowledge to our understanding but the foolish understand not these things. For this world was patterned after the former worlds or after former mansions.” ( http://www.boap.org/LDS/Early-Saints/GLaub-A.html pages 16-17 See also, George Laub’s Nauvoo Journal, BYU Studies, Vol. 18, No. 2, winter 1978). 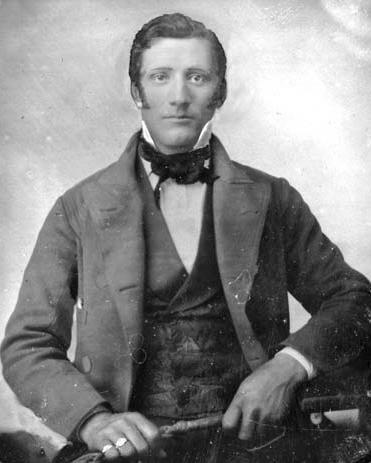 To the brethren of the Church of Jesus Christ of Latter Day Saints, living on China Creek, in Han[filtered profanity or slur] County, greeting:-Whereas brother Richard Hewitt has called on me to-day, to know my views concerning some doctrines that are preached in your place, and states to me that some of your elders say, that a man having a certain priesthood, may have as many wives as he pleases, and that doctrine is taught here: I say unto you that that man teaches false doctrine, for there is no such doctrine taught here. And any man that is found teaching privately or publicly any such doctrine, is culpable, and will stand a chance to be brought before the High Council, and loose his license and membership also: therefore he had better beware what he is about. And again I say unto you, an elder has no business to undertake to preach mysteries in any part of the world, for God has commanded us all to preach nothing but the first principles unto the world. Neither has any elder any authority to preach any mysterious thing to any branch of the church unless he has a direct commandment from God to do so. Let the matter of the grand councils of heaven, and the making of gods, worlds, and devils entirely alone; for you are not called to teach any such doctrine-for neither you nor the people are capacitated to understand any such principles-less so to teach them. For when God commands men to teach such principles the saints will receive them. Therefore beware what you teach! for the mysteries of God are not given to all men; and unto those to whom they are given they are placed under restrictions to impart only such as God will command them; and the residue is to be kept in a faithful breast, otherwise he will be brought under condemnation. By this God will prove his faithful servants, who will be called and numbered with the chosen. Notice that Hyrum Smith here denounces polygamy, which the hierarchy were all practicing. He then tells those that are teaching that doctrine, to also stop teaching “the mysteries”. Sunday, April 28[th] 1844 At home. Hyrum preached at the stand. A.M.(Scott H. Faulring, An American Prophet’s Record, p.475). On the same day, all of the Nauvoo dissenters were cut off from the Church. They then began their Nauvoo Expositor project. I believe that Jo and Hyrum started preaching on the plurality of gods in early April because of the things that were being spread about by the dissenters and Elders that overheard the doctrine being discussed by them. There are many entries in Joseph’s diary that the Elders (not the hierarchy) were ordered to preach only the “1st principles”. Notice also, that Hyrum says in his sermon that “the foolish” do not “understand these things,” which also supports the 1844 date, since many were at that time speaking of them. April 27, 1843 was on a Thursday, so I think it is unlikely that is the correct date. The whole quote is important, because Young goes on and on about false premises, and then enlightens his audience with tales of the moon & sun being inhabited! And then if there are many worlds then there must be many gods, for every star that we see is a world and is inhabited the same as this world is peopled. The sun and the moon is inhabited and the stars (Jesus Christ is the light of the sun), the same as this earth but anyone of them are larger than this earth. Exactly what Hyrum Smith said, “Christ is the light of this planet”, (the sun). In the light of this, Huntington’s statement in the Young Woman’s Journal makes much more sense. Mormons will say, well, these are only opinions. I say, read the quotes closely and in context. These are not just opinions, the examples by Hyrum and Brigham are used to teach principles of the gospel of Mormonism, and they exhorted their audience to believe them. Where do you think they got the info from? As Dibble & Huntington relate, from Smith himself. There is plenty of evidence here to show that it came from that source. Brigham’s sermon closely resembles Hyrum’s, and even makes the analogy of Christ as “light”. II. Prophetic Mantle or Prophetic Fraud? 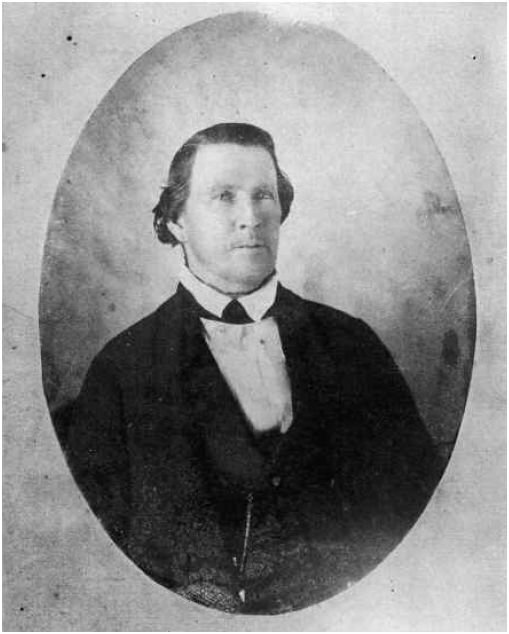 “A few Sabbaths ago Joseph announced to his people that the gift of prophecy was taken away from him until the Temple and Nauvoo House should be finished, but that his mantle had fallen on his brother Hyrum, to whom it belonged by birthright, and he charged his people to obey implicitly all the commands revealed to Hyrum. We hear that he has already had some wonderful revelations not yet made public; but that a few of the elders put their heads together and whisper what they dare not speak aloud. 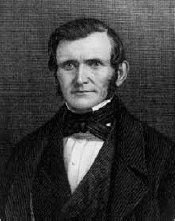 What it is we can only surmise by faint rumors.” (Nauvoo, Letter dated, Sept 8th 1843, “A GIRL’S LETTERS FROM NAUVOO, Overland Monthly, 1890). 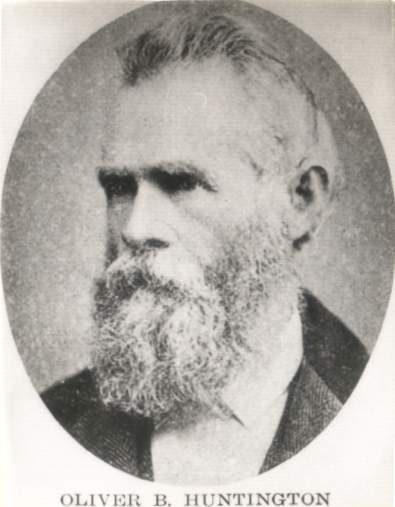 “A month ago or more one of the Apostles, Adams by name, returned from a two years’ mission in England, bringing with him a wife and child, although he had left a wife and family here when he went away, and I am told that his first wife is reconciled to this certainly at first unwelcome guest to her home, for her husband and some others have reasoned with her that plurality of wives is taught in the Bible, that Abraham, Jacob, Solomon, David, and indeed all the old prophets and good men, had several wives, and if right for them, it is right for the Latter Day Saints. 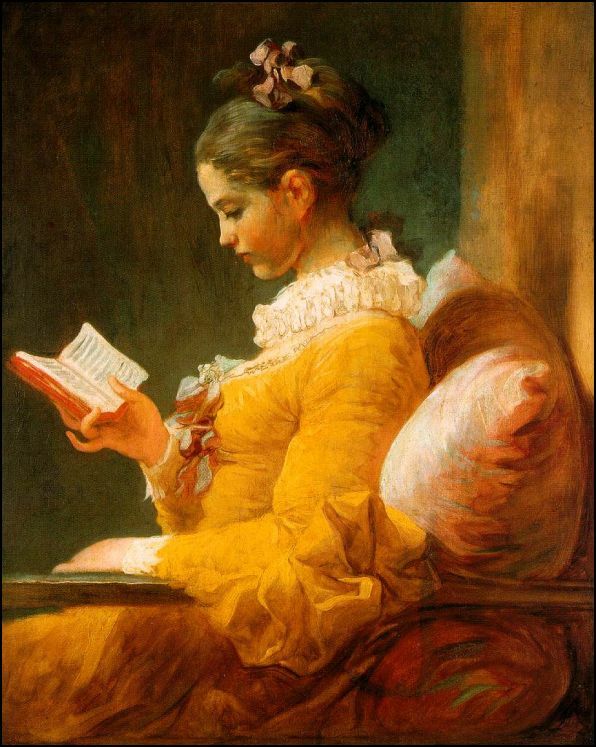 Furthermore, the first wife will always be first in her husband’s affection and the head of the household, where she will have a larger influence. Poor, weak woman! It is obvious who this teaching originated from, as Dibble & Huntington relate: Joseph Smith himself. There is plenty of evidence here to show that it came from that source (Joseph was there when Hyrum preached about Moonmen), and even the Church’s Ordained Presiding Patriarch was giving blessings about traveling to other planets, so Huntington’s blessing is not just an aberration. 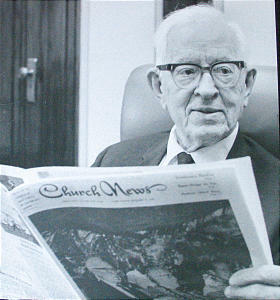 What apologists might fail to consider, is that since Oliver Huntington had been blessed to preach on the moon, it would have been of particular interest to him, and he would have remembered that Smith taught it. I was 10 when I saw the moon landing in 1969. I remember it like it was yesterday. I think if someone had told me then that there were men living on the moon, and the man was revered by me as a ‘great prophet’, I don’t think I would have forgotten it, especially if I was promised that I would preach to them someday. Aside from this, apologists love to say that belief in Moonmen was common in the 18th century, as if this explains everything. Belief in little grey men is common in our day, but one does not see Thomas Monson making statements, or even personal opinions about them during General Conference. After Apollo 15’s journey to the moon, the astronaut team brought JFS a Utah State Flag that they had taken with them to the moon. They gave him the flag in 1971 as a token of his ‘failed prophecy.’ (See, The Mormon Hierarchy : Extensions of Power, D. Michael Quinn, Page 862, in appendix 5). 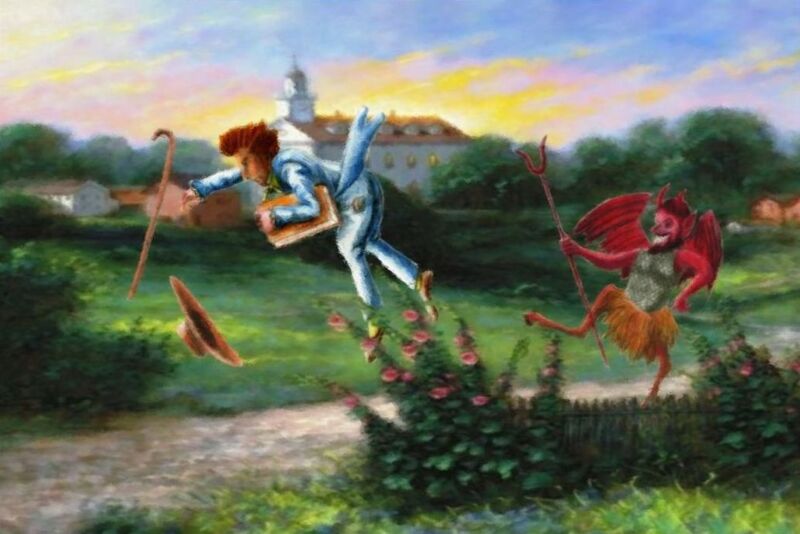 The story of the Moonmen is just one example of how Joseph Smith gave his followers information that appeared to be revelatory, but could not be proven at the time, which many bought into and took to heart as true. 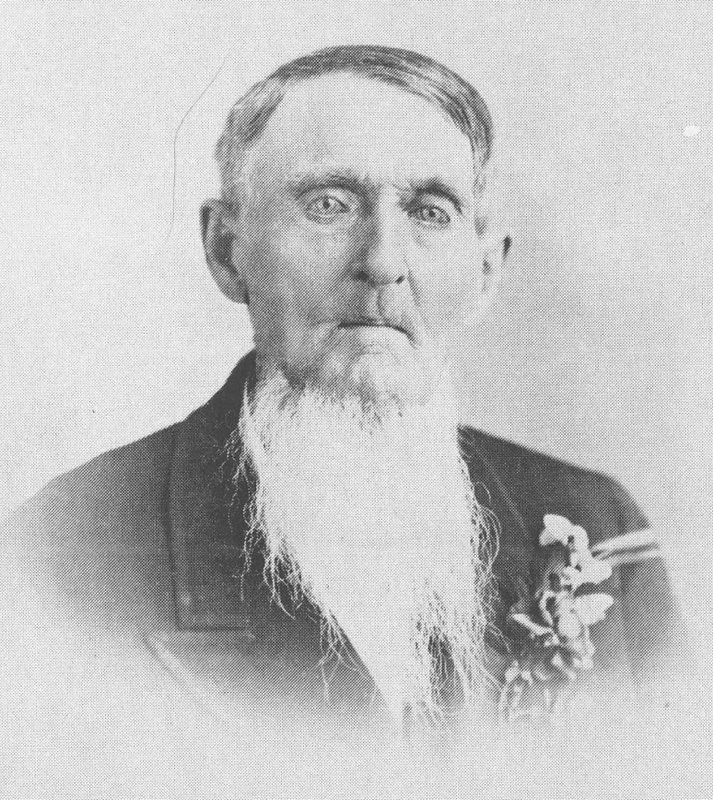 This information comes from Oliver B. Huntington, and Philo Dibble, was published in the Young Women’s Journal, an official publication of the Church, and was also given in a sermon over the pulpit by both Brigham Young & Hyrum Smith, and was confirmed in many patriarchal blessings given during this period. 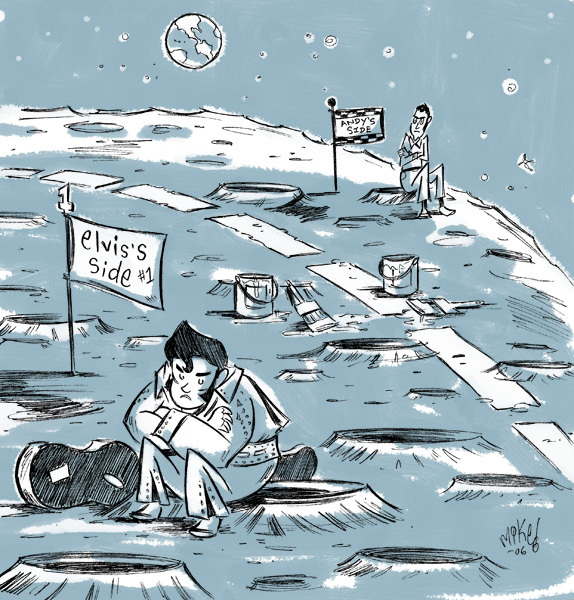 Men in the Moon .. Elvis and Andy. “I know just as well what to teach this people and just what to say to them and what to do in order to bring them into the celestial kingdom…I have never yet preached a sermon and sent it out to the children of men, that they may not call Scripture. Let me have the privilege of correcting a sermon, and it is as good Scripture as they deserve. The people have the oracles of God continually.” (Journal of Discourses, vol. 13, p. 95). Not that many Mormons are still clinging to this foolish notion. But then, they have the benefit of hindsight, and that is as they say 20/20.